If you try to move through the map too fast, you'll die. Go too slow? You'll die. Stray away from your team or stay too close to your buddy? Dead and dead. If you want to survive The Red Solstice, a top-down shooter with an emphasis on tactics, you need to adapt quickly to new situations. Even then, you should probably prepare yourself to die a lot. The Red Solstice is not very welcoming to newcomers, especially if you try to jump directly into multiplayer (something the game itself advises against). 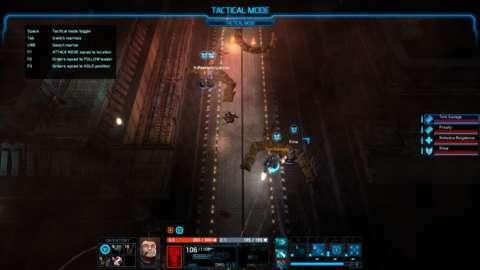 Its core gameplay isn't too hard to grasp--it controls like a real-time strategy game in which you have only a single soldier or small handful of units. Right-clicking moves your soldier(s) to a location, left-clicking orders them to attack, each unit has a variety of skills (each with its own cooldowns), and you have a limited inventory of items. But there is a lot of depth beneath these basics, and if you try to treat The Red Solstice as a pure action game, you will struggle to succeed. You can slow the action down to a crawl with a tap of the button, giving you some extra seconds to breathe and plan your next move. This slow-mo tactical mode is only available when playing solo, but making good use of it is imperative for single-player success. Sure, you could try running through the map with auto-aim turned on so all your squad members automatically pivot toward and attack incoming threats, but that's a recipe for inaccurate shots and wasted ammo, neither of which you can afford if you want to make it out alive. One of the key elements of The Red Solstice is that it's class-based, and having a balanced squad of various classes is essential. This goes beyond the obvious "Take a medic with you so you can heal yourself" strategy in that each class has a variety of available skills that can make the difference between success and failure. Using the right support skill at the right time could save lives, and most classes have weaknesses that make it difficult for them to survive alone. Things can look a little gross up close. For instance, the long-range specialty of the Marksman might be great for picking off enemies from afar, but they'll struggle if swarmed by a large group at close range. On the other hand, your Heavy Support soldier might be tank-like when it comes to holding a position, but they won't be fast enough to efficiently run around the map checking for items or turning on power generators. A good team needs diversity. The concept of a team should be stressed here. Even the best soldiers aren't likely to survive long alone, so sticking close to friendly units and using each class's unique abilities is vital. A good squad can plan ahead for a wave of enemies by setting up traps and turrets and making sure everybody has spare bullets. A lone wolf will get swarmed by enemies, run out of ammo, get backed into a corner, and die, not necessarily in that order. Simply sticking together isn't all it takes to succeed, though, and repeated failures can be frustrating. This is especially true as you deal with the infrequent checkpoints in the single-player campaign (which often force you to take long walks and fight through big groups over and over again) or die as you realize for the first time that grenades and rockets inexplicably seem to go through walls. A lot of little problems like these can add up to an unpleasant experience, but they're easier to get through with friends. This giant worm was a little too ugly to join his cousin on Arrakis. The game's focus (and where it shines most) is its multiplayer. If controlling a small squad of units in the single-player game feels like StarCraft, the multiplayer feels more like Diablo. 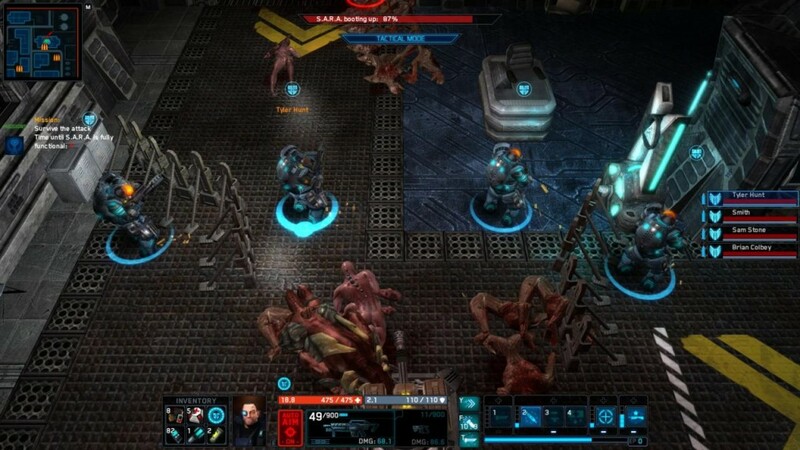 Multiplayer is a co-op experience for up to eight players in which you only control one character. As you play, you'll earn experience points so you can go up in both level and rank, allowing you to unlock new classes, abilities, and weapons to use in your next game. There's a light story in the multiplayer campaign, but the bigger draw is that each time you play a map, the experience is unlikely to be the same as the last time you played. 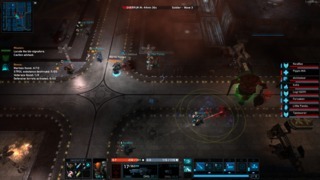 Beyond a selection of game variables the game's host can toggle before a match (tweaking things like the amount of time between enemy wave spawns or increasing the number of bosses you'll encounter), each deployment onto a map is somewhat randomized. The geometry of the location stays the same (though maps are large, so there is a lot to explore), but the enemies you'll encounter and the missions you'll receive are dynamic. These missions usually boil down to standard tasks like "kill all the enemies in this area" or "search this body for some information," but it's nice to have their order and location shuffled around every game so completing them doesn't become too rote. 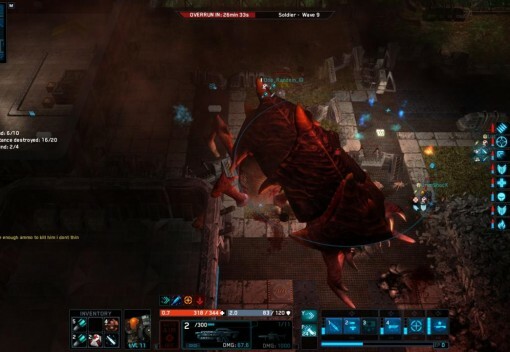 Like most co-op multiplayer experiences, The Red Solstice is best with friends. If you have none (or you just want a challenge), you can play the game's "Survival" mode, which is essentially the multiplayer mode except you control a handful of AI units to make up for the missing human players. It can be fun, but there's a genuine sense of camaraderie when playing online with a solid group of four to eight people, and the solo experience can't replicate that. If you try to treat The Red Solstice as a pure action game, you will struggle to succeed. It can also be good to hop online and try to find some experienced players willing to show you the ropes, especially because you aren't likely to learn them all without some help. Even after playing through all 10 missions of the single-player campaign, I felt that the game never communicated some things to me--at least not well. For example, I did not know you could pick up (and then toss) exploding barrels until I saw another player do it online. This bit of knowledge would have made one specific section of a single-player mission, in which I needed to blow up some barricades, a bit less frustrating. Getting to the center of the storm that is The Red Solstice isn't easy. A less-than-stellar tutorial and initial overload of information combined with a handful of quirks and bugs make it a game you have to stick with for a little while before you can fully appreciate its depth. If you can reach that point, though, and you have some friends to reach it with, this a storm you will successfully weather.